I scheduled my trip so that I had free time on Friday and Saturday to go birding. 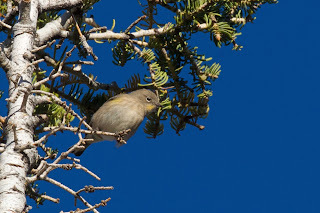 The reason was to explore Nevada's birding locations but also to see if I could score a few life birds. I was going to rent a car and head out to explore but my boss actually gave me his rental which saved me a bunch of time (and money). 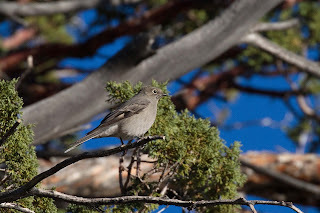 I started out super early on Friday and headed northwest to the mountains in search of Townsend's Solitaire. I didn't really pay attention to the map and didn't realize how high up I was going until the sign said "Elevation 8452 ft". Suffice it to say that I didn't realize how cold it would be either - um 35 degrees and me with no jacket. Despite freezing and not being able to catch my breath in the high altitude, I managed to find not one, but 6 Townsend's Solitaires. Life Bird! Again, heard them before I saw them. This is the typical pose - right on top of the tree. One of the birds did come down a little bit. Notice the big white eye ring which is the best field mark. 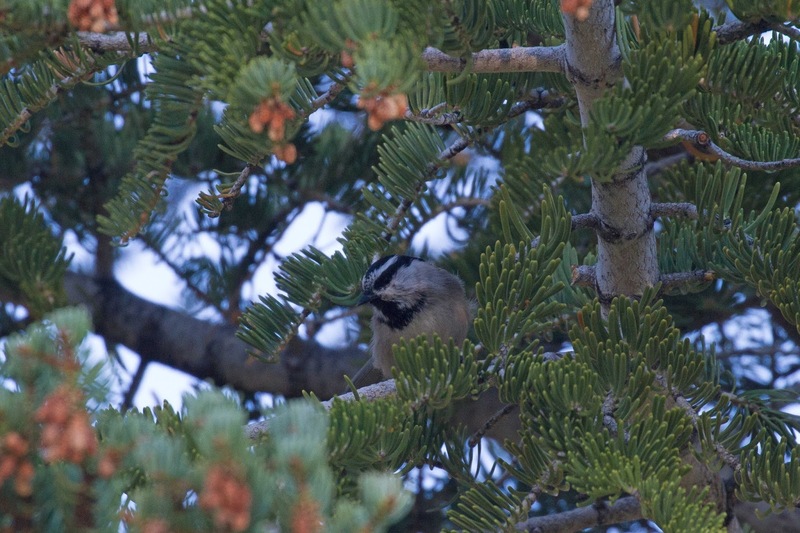 I only saw a few other birds at the top of the mountains including this Mountain Chickadee. And of course, this Audubon's Yellow-rumped Warbler. Boy, you can find these birds literally anywhere. After heading down the mountain, I still has some time before my first meeting of the day so I headed over to another city park - Floyd Lamb - which was on the way back to the city. I'm glad I did. 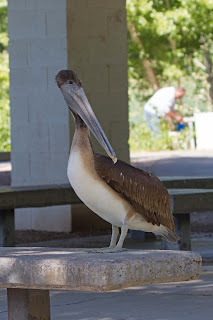 I met alot of birders there. They were all looking for a Canada Warbler which showed up a few days before. 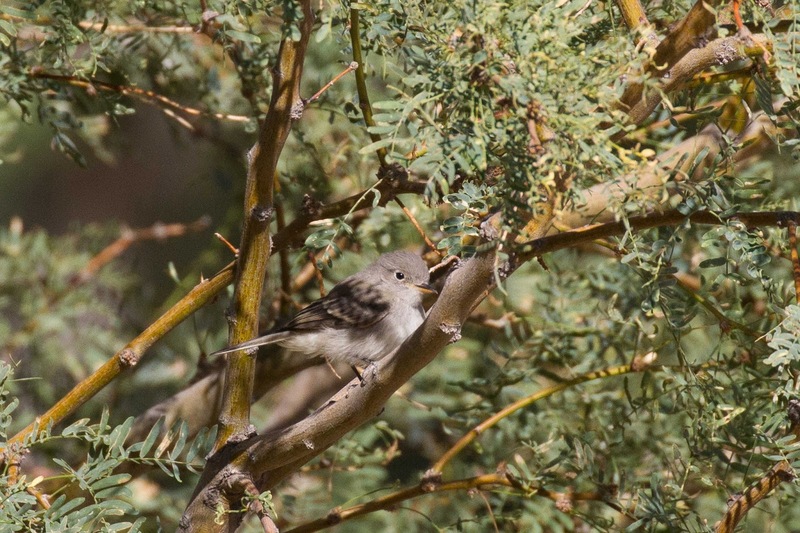 Canadas are eastern warblers. We have them here in PA and NJ in spring and they even nest in our area. When they show up out west, its big news. We didn't find the Canada warbler but I got 2 more life birds. 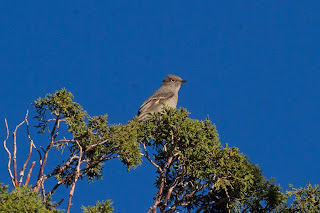 The first was Gray Flycatcher. 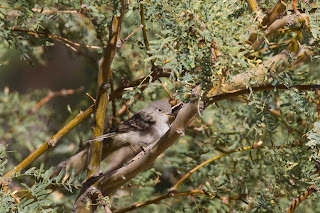 This bird is not much to look at which is probably why I don't have it on my list yet. 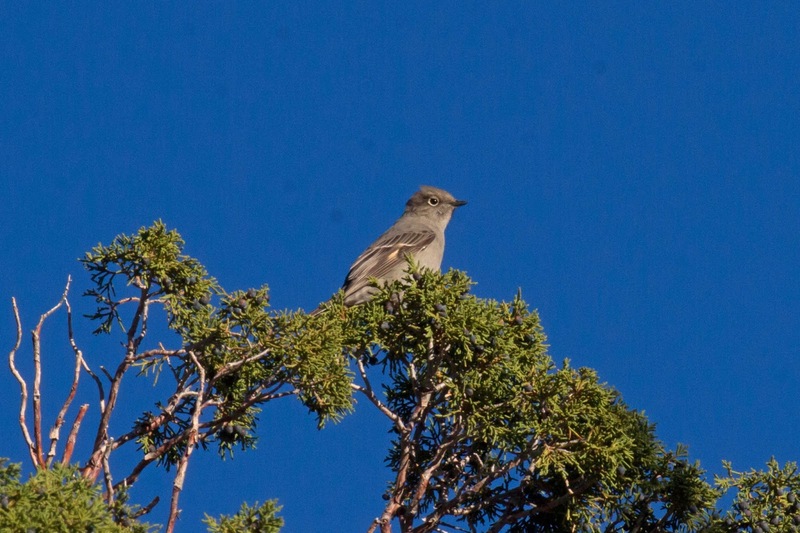 This trip, I really studied and was able to find the bird. 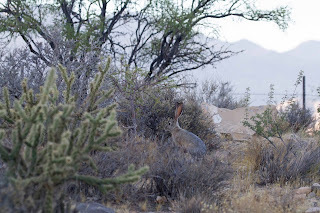 And once again, an unexpected sighting - a Brown Pelican in the middle of the desert. 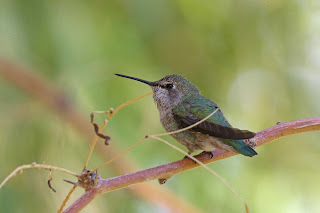 I met a woman from Texas named Missy who was birding there too. We ended up birding together for most of the day which was really great. After a few hours of working, I met up with Missy again at Desert Park where we found a few birds but really not much to write about other than this interesting Leopard Lizard. Check out those spots. From there, we made our way to another mountain park in search of Crissal Thrasher. We busted there too but got these views. We saw a Coyote and an Osprey. This Jackrabbit was HUGE. And so was this view of Red Rocks. Thus ended Friday with 3 Life Birds in the bag. With that, I headed back to the Vegas Strip and literally collapsed in the bed. Wow - what an awesome collection of photos! This is all very interesting information for the backyard birders - listen up, bird nerds. It never ceases to amaze me how diverse the experiences are for all birders in the bird watching community.. If anyone is interested in a chance to win one of (3) amazing feeder packages for FREE, visit FindYourBirdNerd.com to enter to win!